Maximum of 6 children per half hour session. Lessons are suitable for babies from six (6) months (when their immune system has developed) and upwards to approximately 2.5 – 3 years of age. Parents/carers are taught the correct technique for introducing baby to water. With the use of fun activities and games, we aim to provide a feeling of comfort and safety in the water. These lessons are invaluable, because if the skills are practiced regularly, they can certainly help to save a child’s life. Remember, every child is different and should be encouraged at their own pace. Retrieving objects from the bottom of the pool. Only when a child can confidently dog paddle across the pool without panic, (ie. bubbles in – up for breath) do we commence the art of the freestyle stroke and breathing. It is vital that a child has good flotation skills and the legs do not sink at the back while dog paddling, before commencing overarm. Maximum of 4 persons per 45 minute session. These classes are designed for the not-so-confident and the would-be-superfish. 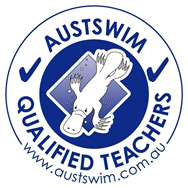 We can teach you to swim to save yourself – or – to become a Masters swimmer. Don’t put it off forever though….. take the plunge NOW!